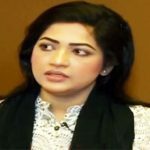 Umme Ahmed Shishir is now a public figure if though she is not an actress or professional model. She is the wife of cricketer Shakib Al Hasan, the best cricketer of Bangladesh team. 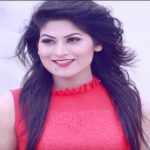 Shishir is the dream girl of many young generations; a newspaper survey showed that she is one of the expected girls to the young generation of Bangladesh. Umme Ahmed Shishir was born on 1989 in Narayanganj, Bangladesh. She passed her childhood in Narayanganj with family. She has five brothers and a sister. Her father Mamataj Ahmed was an employee of Agrani Bank. In 1998, her father and stepmother moved to the United State with the DV lottery when she was only 8 years old. Shishir’s step mother got this lottery, two years later she went to America. She completed graduation from Minnesota University in America. Shishir is a software engineer. Nice looking Shishir got various offers for modeling, but she did not agree with these offers. Finally, she has appeared on the television screen in a television commercial of Bangla link. In this TVC, she acted with her husband Shakib Al Hasan. Her acted TVC for Banglalink has made viral in the social media. If her husband Shakib wants, she will continue in modeling, so a new model is emerging in the country. Shishir is one of the desired women in the country of the young generation for her attractive appearance. During her student life, Shishir went to England for visiting, dramatically that was time Shakib Al Hasan stayed in England for County Cricket League in 2010. However, they met one another and fall in love, continue their love relation for almost three years in silent mode. The couple married on the magic date 12-12-12 at a five-star hotel. She gives birth a daughter on November 08, 2015, in the United State. Shishir remarked to the Bangladeshi actress Mehjabin Chowdhury as twin sisters for similarities in their look. I like u…..you r my first crush….??????????????? ?